Pregnancy can be a time of great joy. It can also be a time of great anxiety and worry. Your body is constantly changing and it is difficult to determine what is normal and what is cause for alarm. Epistaxis, the medical term for a nosebleed, is a common complaint during pregnancy. Approximately 20 percent of women will experience an occasional nosebleed during their pregnancy. Many of these occur during the first trimester. Many people experience this condition during pregnancy and, not surprisingly, they ask important questions. When should you seek medical care for nosebleeds? What causes nosebleeds during pregnancy? What treatments work for epistaxis? How do you prevent nosebleeds? Is epistaxis always related to pregnancy? Below you will find detailed answers to each of these questions. 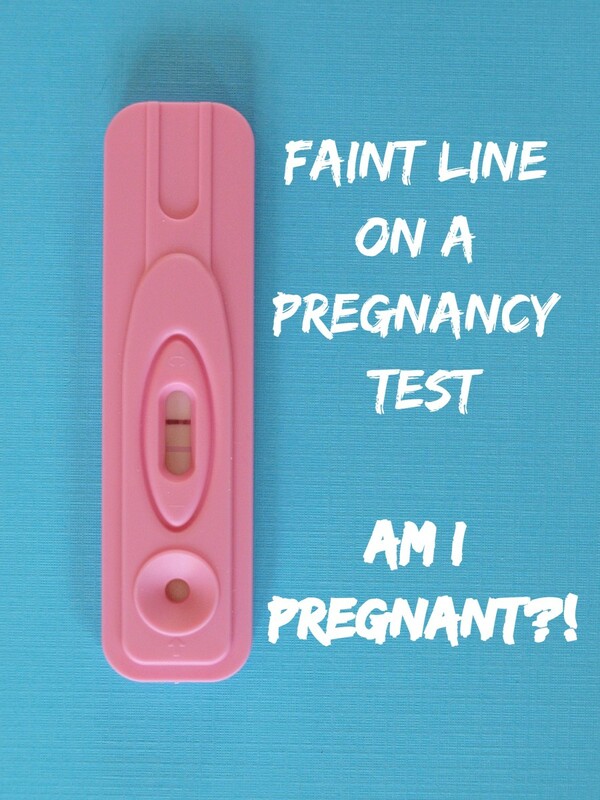 I have experienced this condition first hand and it can be quite scary, especially when it occurs in the first few weeks of a new pregnancy. After experiencing my first prenatal nosebleed, I performed research and visited several doctors to learn more about the topic. You may be happy to learn that it is rarely a cause for concern. Although epistaxis is generally a benign condition, there are instances when it is prudent to seek medical treatment. In rare cases, nosebleeds may be a symptom of an underlying condition. Pregnant women are at a greater risk for hypertension, diabetes, and stroke. Seek immediate medical treatment if a nosebleed accompanies any of these conditions or symptoms. Seek emergency care if persistent chest pain or labored breathing accompanies a nosebleed. It is not unusual for anxiety to induce some discomfort, but prolonged or severe pain should be investigated. Consult a physician after a head trauma that induces a nosebleed. This does not include a minor accidental blow to the nose. Seek emergency attention if there is any numbness, tingling in the extremities, or facial drooping. These could be an indicator of stroke, and time is of the essence. Nosebleeds with symptoms of fatigue, feeling lightheaded, or confusion, should be treated as soon as possible. Seek immediate attention if there is a loss of consciousness. A trip to the emergency room may be prudent if there is a heavy blood flow and the bleeding cannot be controlled after 30 minutes. Some symptoms should be examined, but do not require emergency attention. Always discuss medical concerns with your physician. Many people are hesitant to mention minor symptoms or concerns for fear of feeling foolish. Do not allow embarrassment to keep you from asking questions. Knowing the answers will reduce your anxiety. Report frequent nosebleeds to your doctor. A pale complexion and nosebleeds may indicate anemia. This is fairly common during pregnancy. Your physician may prescribe an iron supplement. A woman's blood volume can increase by as much as 50 percent during pregnancy. This increased circulation brings necessary nourishment to the baby. It also expands the small vessels in the nose. In turn, this increased pressure on the blood vessels makes them more susceptible to rupture. Many women will experience bleeding from the nose during the first trimester or even the first week of pregnancy. Additional concern about epistaxis is understandable when it occurs this early in a pregnancy. However, this is almost always benign and not a cause for concern. In fact, a nosebleed can be an early sign of a new pregnancy. Often many women will only experience bleeding from the nose in the first trimester and will not experience it again. Remember, your body is adjusting itself to being pregnant and is just starting to increase the blood flow. Your nasal tissue is often the weak link and can be the first sign of this increased blood flow. The nose has a rich vascular supply. These tiny blood vessels are located close to the skin surface making them very easy to damage. Dry air and nose picking are the most common causes of nosebleeds. The term edema prompts mental images of swollen feet, ankles and the dreaded cankle. Your nose is affected by the same malady during pregnancy. 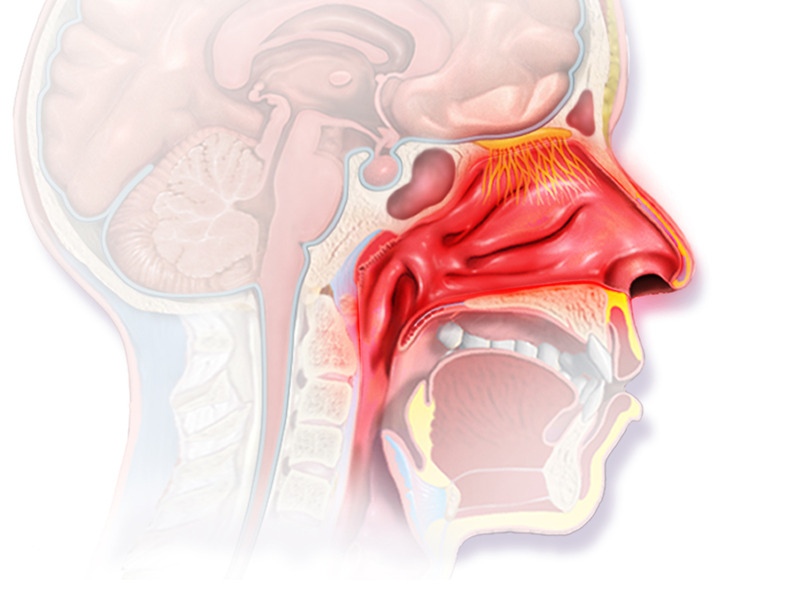 Increased blood volume can cause swelling of the nasal passage resulting in chronic congestion. This unpleasant side-effect usually appears around 16 weeks and may last until delivery. Nosebleeds are usually the result of frequent nose blowing. Nosebleeds are an unpleasant nuisance but epistaxis during pregnancy is generally a benign condition and there is no cause for alarm. To know if there is any cause for concern, watch for the same symptoms as you would if the nosebleed occurred later in your pregnancy. When in doubt, contact your physician. Increased blood flow is the most common cause of nosebleeds during pregnancy. There are no methods that are specific to pregnancy to reduce the risk of nosebleeds. Basic advice such as using a humidifier at night, keeping the nasal membranes moist with a saline spray, and avoiding picking your nose, can be effective. If a patient is getting frequent nosebleeds, or has difficulty stopping them, then they should be evaluated by their physician as it may indicate other problems. Nosebleeds can be frightening. It may seem like there is an endless blood flow, and you may worry it will never stop. Do not panic. You can easily treat your nosebleed at home. Sit down. Lean slightly forward taking care that your head remains positioned above your heart. Pinch your nostrils closed and breathe through your mouth. Remain in this position approximately 15 minutes. This should slow or completely stop the nosebleed. Apply ice to your nose. The cold will constrict the blood vessels and stop the blood flow. A package of frozen vegetables works well as it conforms to the shape of your nose. It is important to remain sitting. Do not lay down or tilt your head back. This angle may allow blood flow to your throat. Swallowing blood can induce feelings of nausea and vomiting. Nosebleeds are not inevitable during pregnancy. Taking a few precautions may prevent or lessen their occurrence. Drinking plenty of fluids is generally good advice and is especially true during pregnancy. Keeping the nasal membranes well hydrated reduces the potential for nosebleeds. 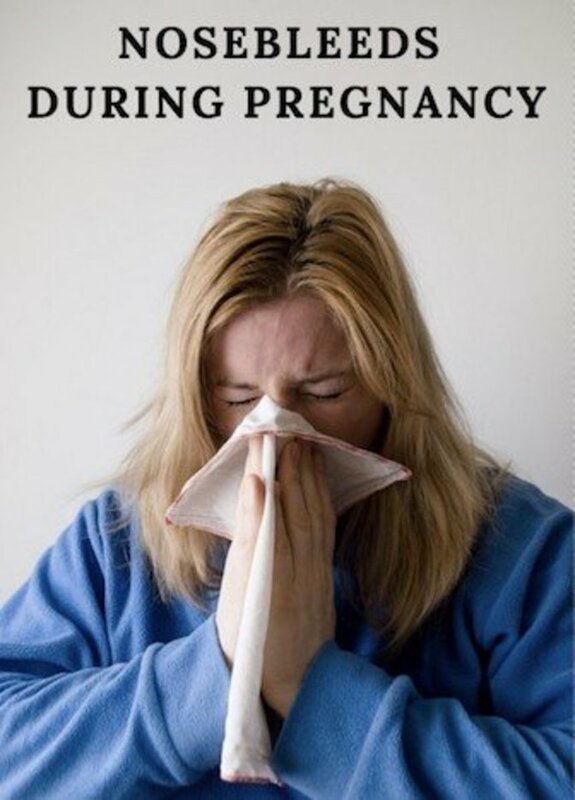 Try to keep your mouth open while sneezing and gently blow your nose to reduce pressure on the blood vessels. Use a lubricant, such as petroleum jelly, or a nasal spray to keep the area moist. A humidifier adds moisture to the air you breathe. This is especially beneficial in dry climates. Use prescribed lubricant and nasal sprays as directed. More is not better. Dry air in your bedroom at night is one of the most common causes. I bought and used the MistAire Ultrasonic Cool Mist Humidifier after suffering nosebleeds during my second trimester. After a few days, I was amazed that the nosebleeds completely stopped. I didn't even realize the dry air in my room was the cause. It is important to realize that dry air in your house can be a cause without you even being aware of it. This can happen in cold climates just as easily as it can in hot and dry climates. Studies estimate that the rate of recurring nosebleeds is almost four times as common in pregnant women than non-pregnant women – so there is clearly an increased association with pregnancy. The common cold and air-born allergies may induce a nosebleed. A trauma to the nose is a frequent cause of nosebleeds. Inhaling chemical agents such as ammonia or other cleaning products may irritate the nasal membrane. These agents should always be avoided during pregnancy. Prescribed blood thinners or frequent use of aspirin may induce nosebleeds. Discuss this with your physician. He may adjust your dosage or recommend an alternative pain reliever. It is normal to be acutely in tune with your body during pregnancy. You notice babies and pregnant women every place you go. You read countless books on pregnancy and childbirth. Every mother you know seems anxious to share their own experiences, good and bad. It is easy to project all of this newly acquired information onto your own pregnancy. This is not uncommon. Medical students are especially prone to this kind of self-suggestion. It is often referred to as Medical Student Syndrome. 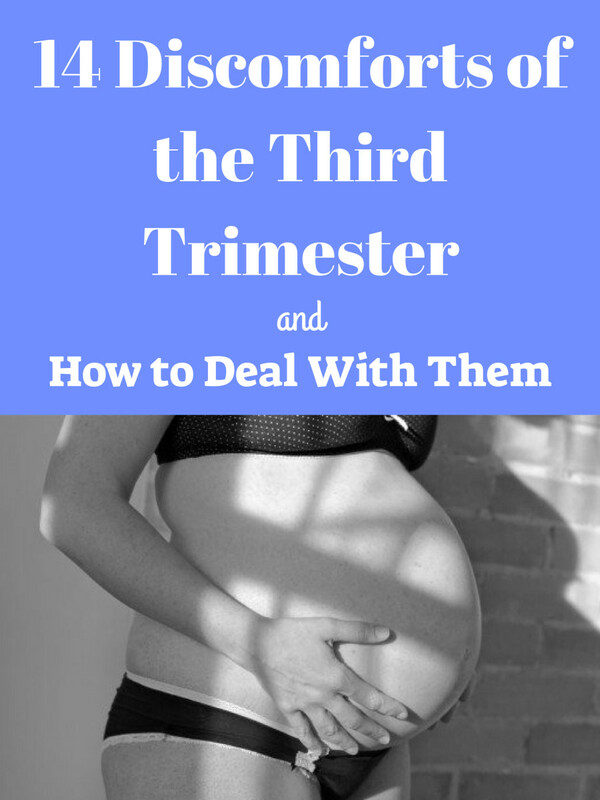 Try not to become overly preoccupied with every ache or body change you experience during your pregnancy. This can lead to increased stress and anxiety which is not good for you or your baby. Take note of nosebleeds but keep it in perspective. Nosebleeds are common whether you are pregnant or not. Do not allow needless worry to overshadow the miracle of your pregnancy. "Nosebleed Causes." July 3, 2015. Mayo Clinic. Retrieved December 7, 2017. "Noseblees - Prevention." (n.d.) WebMD. Retrieved December 7, 2017. "Nosebleeds During Pregnancy" (n.d.) American Pregnancy Association. Retrieved December 7, 2017. When during your pregnancy are you experiencing bleeding from the nose? I had nosebleeds in the 2nd and now 3rd trimester of my pregnancy. Should I be worried if my feet are tingling after the nosebleed? Tingling feet could indicate poor circulation. If this feeling corresponds with a nosebleed, it may be best to consult with a doctor. It could be due to blood loss or low blood pressure. There are many other causes, however, such as a vitamin deficiency, which could cause tingling in your feet. Your body is likely protecting the baby (as it should) by diverting blood flow from other areas of the body to the baby. It is good that your body is doing this, but it is important for your doctor to find out why your body is doing this. I would not panic in your situation as your body is probably doing what it needs to protect your baby, but you should still see a doctor since you don't know what is causing it. What causes nosebleeds in the third trimester? Nosebleeds during the third trimester are extremely common. As the baby grows, he or she requires more blood flow from the mother. That means that the mother's blood flow needs to increase to provide for that demand. 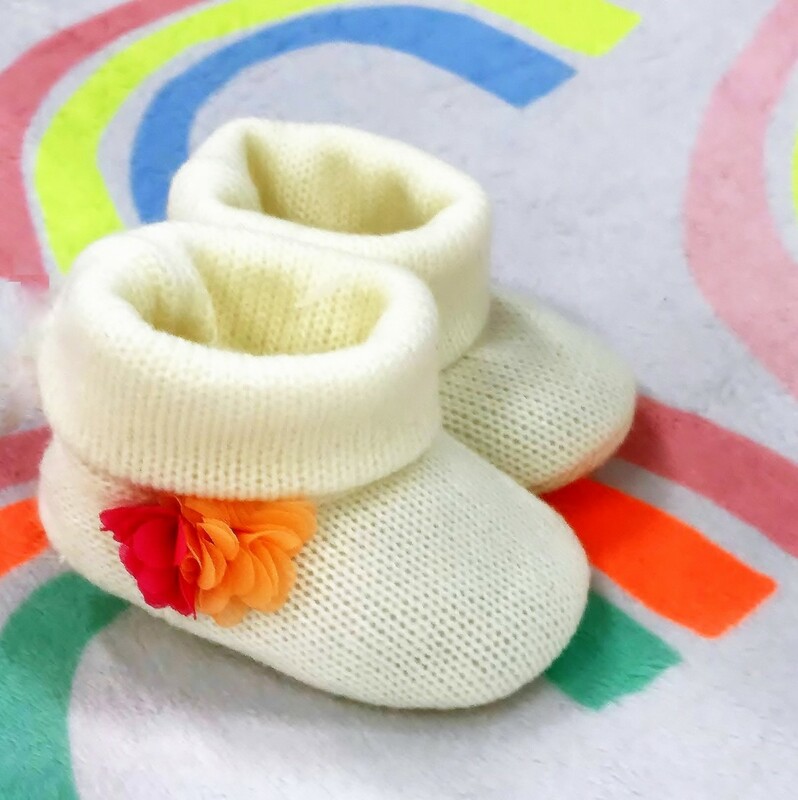 Your baby is at their largest during the third trimester, so your body is working overtime to provide increased blood flow for the extra demand. The thin lining of your nose is often the weak spot and will be where the increased blood flow finally finds its way out of your body. Although it is very common, it is important that you contact your doctor if you are at all worried. It is always important to stay in close contact with your doctor while you are pregnant since pregnancy does put a lot of demands on your body that it is not used to. Contact your doctor if the bleeding is exceptionally heavy or if you experience any other symptoms along with the bloody nose. For example, if you feel light headed, have pale skin, or experience headaches, make sure you contact your doctor right away or go to your local emergency room. What do nosebleeds have to do with anemia? Nosebleeds can be a contributor to iron deficiency anemia. Actually, any prolonged or frequent bleeding can cause iron deficiency in your blood. This includes internal bleeding, exceptionally heavy menstrual bleeding, and nosebleeds. So while anemia won't cause a nosebleed, they can cause anemia. Headaches and pale skin that accompany your frequent or heavy nosebleeds may be a sign that you are becoming anemic from the blood loss. If you believe this is happening to you, it is very important that you contact your doctor right away so that it can be addressed before it becomes more serious. One common way doctors often recommend to combat this is to have you take iron supplements, although every case is different and a medical professional should be contacted. Tell us about your experience with nosebleeds and pregnancy in the comment section below. I experienced nose bleeding during my third trimester, especially when go through little stress. My experience of nosebleeds started at the beginning of the last trimester of my pregnancy. It wasn't frequent, it happened and stop. At first, it bleeds, dried up and mixed with tick mucus each time I blew my nose. After 2 weeks, it came back. But this time I didn't bleed much. The blood was just mixing with the mucus from my nostrils.